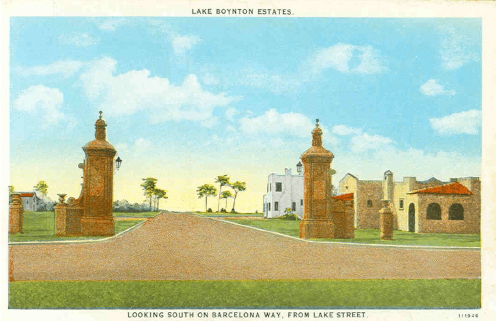 This promotional post card from the 1920s advertised Boynton’s first big “boom time” development – Lake Boynton Estates. Its original plat is four pages, and the development would have spanned the area from Boynton Beach Boulevard to Woolbright, just west of the Seaboard Coastline railroad tracks. Speculators built a few houses in the 1920s, only three of which survive to this day. 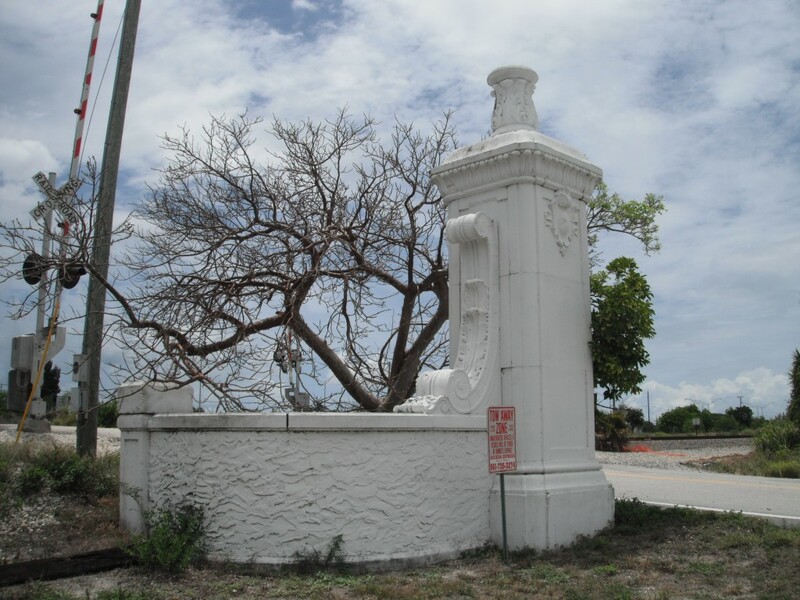 Only one side of the original three sets of gates survives, on the east side next to the railroad tracks. The ones depicted in the postcard were at the Boynton Beach Boulevard intersection, then called Lake Street. Later the lots were sold and houses are still being built in the area on lots that were never developed. Tagged Boynton Beach, Florida Boom, K.D. Purdy, Lake Boynton Estates. Bookmark the permalink.